So, I bought the mattress covers and washed everything constantly, got rid of carpets, upholstery, heavy drapes, cushions; was very cautious not to touch anything in hotel rooms, etc., etc. Then after a while, I thought,” what the hell am I doing?” and I stopped. Dust mites have been around forever, right? We can’t escape them. I’ll keep things reasonably clean, but I’m not vacuuming my mattress every week. And, in the interests of economy and being green, I don’t really need to wash my whites in hot water, right? Phew! The essential me felt so much more relaxed and comfortable once I came to terms with this. Each undergarment can have up to a gram of feces in it. Cold-washing undergarments only spreads E. coli and other bad bacteria to all the other clothing in the washing machine. Is it time to freak out again? I did some online research and there doesn’t seem to be a clear answer out there. Some say only boiling water is hot enough to kill bacteria; some say soap will kill bacteria regardless of the water temperature; some say the dryer is hot enough to kill any bacteria left over from washing; some say hanging clothes in the sun to dry is enough to kill bacteria; some agree with Rene that bedding and underpants have to be washed in hot water with bleach. I don’t know what kind of underpants these people are wearing, but I can’t see mine surviving more than a couple of hot water and bleach washings. I want no part of these industrial-strength foundation garments that end up smelling like a swimming pool and swaddle my nether regions in chlorine. 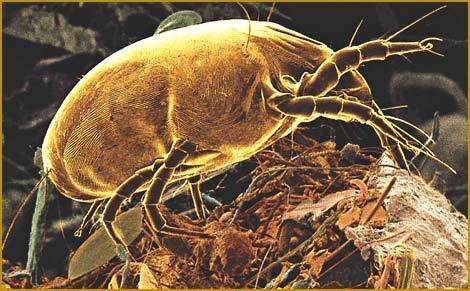 So, I’m going to resign myself to spending my life wrapped in my own poop as well as dust mite poop.